There she was, my live-in maid, washing my glasses and crystals as delicately as possible. I stood there watching her, without her knowing I was in the kitchen. I hid when I noticed my husband walking in and asking about me. “She told me she was going to your mother's to get the invitations,” she said with a tender look. I kept listening, even though I should have left before witnessing that romantic, yet disgusting scene. My husband approached her from behind and started kissing her neck, touching her body with unsettling familiarity. I was angry, but stood still watching them like a hidden camera. I heard her moaning and turning her lips to his ears. My blood had frozen in my veins and I was breathing heavily. I could just walk in on them: my maid, someone I trusted, and my husband, who always told me he loved me, and to whom I could say a cruel thing or two. Instead, I decided to leave, walking through the dining room all the way to the street. I got in the first taxi cab I saw and took my cell phone out of my purse. My hands were shaking while I dialed my mother-in-law's number. “Hello?” a calm voice said. I didn't give her a chance to mock my formal tone, so I hung up before she had a chance to say anything. I told the taxi driver to take me to Porcão Steakhouse and he drove me to the entrance of the restaurant, which was nearby. I thanked the toothless driver and left him a tip, since he was smiling at me so charismatically. I got in the restaurant and was welcomed by an friendly Asian lady. I sat down by the window, looking at the garden outside while trying to recompose myself. That image was replaying in my head and tormenting me. I had an appointment an hour ago, but I decided to take a moment to myself, since I am my own priority. This restaurant was like a second home to me. I looked at the menu, ordered a glass of red wine and let the waiters bring the different types of meat to my table and carve them in front of me. Suddenly, I noticed a man walking in my direction. I was trying to remember where I knew him from, when he took my hand in his and kissed it. “Remember me? Ralf Jean...” he said. A gentleman, as always. We went to college together. He looked really pleased to see me and I tried to hide my tears while I invited him to join me. “Of course I remember you. Have lunch with me! I'll go get my plate ready at the buffet table and you can go after me. I mean, if you want to...” I suggested. He looked at me as if he could see right through my forced smile. I changed the subject, trying to avoid the embarrassing truth. “Are you here with someone?” I asked. I looked at the table and saw his wife staring at me. She looked sick, a little pale and frail. “She's beautiful, but is she alright?” I asked with a smile on my face. I looked at her again, but she was distracted with their two small children. “I'm deeply sorry... I'll check out the buffet. Will you wait for me?” I asked. He nodded and I went over to their table first. She didn't understand where I was coming from with that statement. I waved at the boys, who were smiling at me as I made my way to the buffet table. Ralf smiled when I hurried back to my table. He touched my hand again and walked away from my table. I absentmindedly played with my food. Suicide even crossed my mind, but nothing could be more cruel to myself than bleeding in revenge. I didn't finish my lunch and asked for the check before I had a chance to try my favorite items. I was confused and I just wanted to get rid of any insane thoughts. I got into another taxi cab and went back home, where I thought I had the perfect life. It was all an illusion, my mind playing tricks on me. I got out of the cab and got into my own car. I started the car and thought about running away, but I was still in my driveway when I turned off the engine. I kept my hands on the steering wheel, but I was restlessly staring at my garden full of porcelain. It was an indescribable image. So magical... So beautiful... I didn't even know how to face it. I unbuckled the seat belt and opened the door, attempting to get out of the car. When I stood up, I saw Chris coming out of the back door of the house. She was still wearing her wrinkled uniform and her hair was a mess. She touched my roses as if they were hers. “Chris!” I yelled her name. She jumped, smiled a silly smile and tried to fix her hair. I closed the car door and walked toward her. I was standing tall, letting my sensuality do the talking while rage was actually seeping through my veins. “I need you to come with me to my bedroom...” I told her while I stared her in the eyes. I saw my husband leaving in his car while we were going into the house. We were definitely alone. I followed her to my bedroom while terrible thoughts ran through my head, but I decided to do what was right. I asked her to sit down in the armchair and so she did, as if she owned the place. I locked the door behind me and got a pair of handcuffs from my closed. Her eyes were open wide and she was suddenly afraid. I told her to be quiet while I forced her arms behind her and handcuffed her. She tried to resist, but she was getting my message. I got my scissors in the drawer and let her hair go down. She started to cry. I couldn't finish. I couldn't utter those words. But she learned her lesson! I shredded her uniform to pieces and slashed her face a little bit with the scissors. I slapped her a couple of times and let my rage go before I left my bedroom in tears, like a little girl. I went into her room and cut up all her clothes. Then I went back into my room and cut up my husband's clothes. I packed my bags while listening to her mumbled some empty threats. Before I left that monstrous place, I pulled her head back, yanking at the little hair she had left, and smiled. I felt relieved after leaving her looking horribly like that. But I could still feel the pain of being cheated on. I was vulnerable. I put my bags in the trunk of my car and went to Seattle, my favorite retreat. My mind was racing while I was driving. I didn't know what to do with all those lies, but I knew that was not my place. I've actually never felt at home anywhere. Being cheated on not only killed me inside, but took a hold of me. I acknowledged that my future would be more humbled and I recognized I wasn't being a hero in my bitter existence, but I decided to go down an unknown path and change my life. 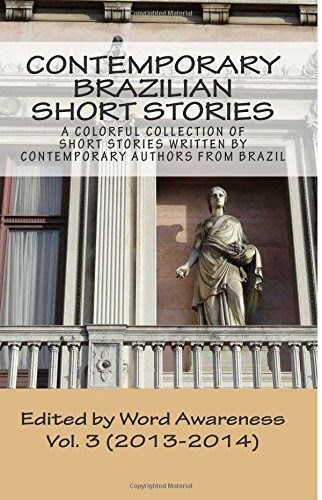 Elisabeth Maranhão was born in 1990 and enjoys writing about family drama and romantic situations between a man and a woman. She's currently writing a book called "Rapunzel Carpe Diem," in which a family tries to pull themselves up by their own bootstraps after the father leaves home and the mother falls ill. The oldest daughter then vows not to cut her hair until her mother gets better. Elisabeth started writing when she was about 10 or 11 years old, after her parents got a divorce. She finished high school in 2008 and is currently unemployed, dedicating herself solely to writing and publishing her stories on her blog, A realidade em seus pés [Reality by your feet] under the pseudonim Elisa Wz.